How to get there: Chaffee County road 140, 1.5 km north of the small place Poncha Springs. Go west on this road for approx. 2.7 km. At this point turn right on Chaffee 250. (Chaffee 140 turns from paved to dirt at this point, so it is easy to find.) Follow Chaffee 250 until the road forks after approx. 6.5 km, take the left branch and continue basically straight in any remaining intersection. The road crosses a creek and gently climbs into the forest. The road ends in a nice area where the Colorado Trail starts. The total distance from the US 285 Hwy. is about 14.5 km. Comments: I did this very nice spring climb with my son Pål Jørgen, age 12. We had good weather, but experienced very strong wind gusts in the middle of the Angel. This wind was not present slightly later in the day. The snow was good in the morning, but almost too soft for a good glissade by the time we returned. The legend of the Angel of Shavano, tells that a native american princess prayed for water during a drought. She sacrificed herself and reappears every spring/summer as the Angel of Shavano, slowly melting and thus providing water to the valley below. 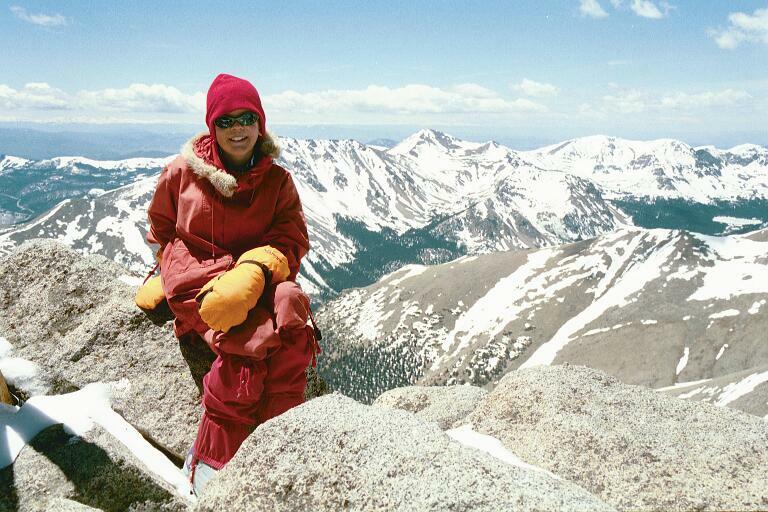 The view was very good, isolated Pikes Peak, the Crestones and Blanca to the south-east, the endless San Juan in the south-west, and of course, the Sawatch extending north. We started at 0500, found the Angel at 0700, the summit of Shavano at 0945, continued to Tabeguache at 1015, arrived there at 1115, started the return at 1200, back at Mount Shavano at 1245, departed from the summit around 1315 and were back at the Jeep around 1500. 10 hours, but this includes unusually many (long) nice rests in the good weather. The Angel of Shavano, Mount Shavano with The Angel, we climbed up the body and then the snow to the right (The Angel's left arm). Pål Jørgen attaching crampons in order to climb The Angel. The top of Shavano, the view is south-west, the high montain in the distance is Mount Aetna (4190 m). Tabeguache, seen from Mont Shavano. 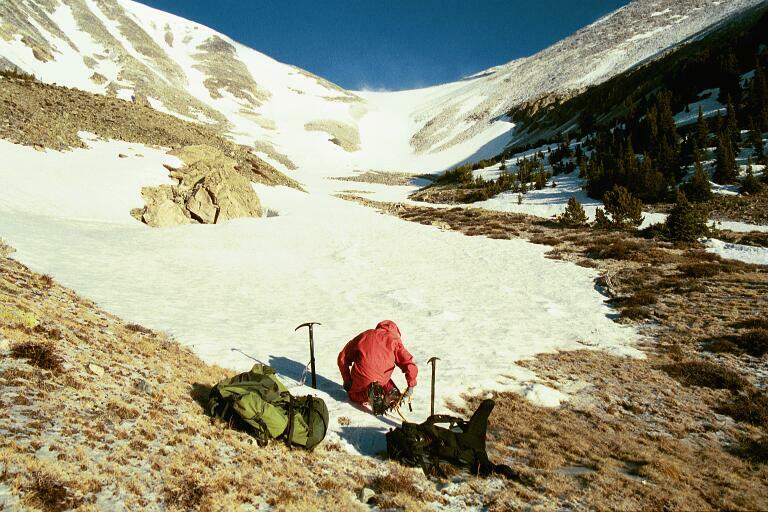 The summit is the high point on what looks like a ridge (above the head of the rightmost person) going left with a sloping rock face on the left and a snow field on the right. 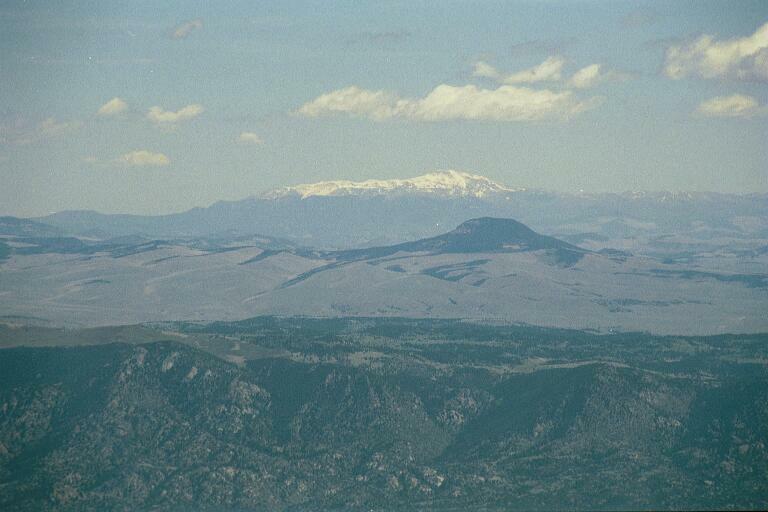 Pikes Peak, as seen from the summit of Mount Shavano. 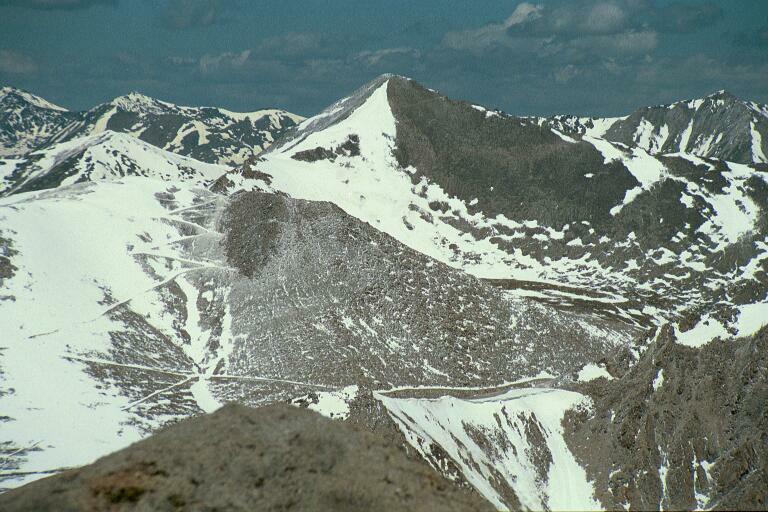 Mount Antero, as seen from the summit of Mount Shavano. 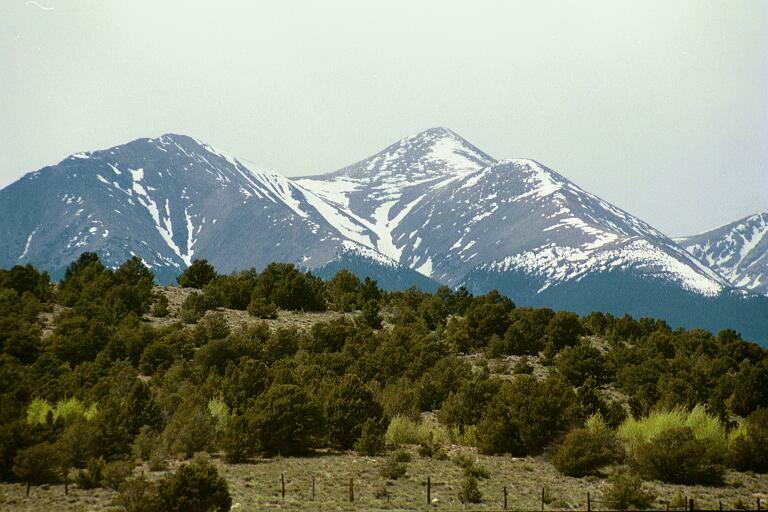 Mount Princeton is behind on the right side.